KeepSolid VPN Unlimited can be a good choice for people looking for a budget VPN, but what we don't like, it is located in U.S.
Let’s start this review formally with a brief look at the product’s main features. The Pricing Plan – Is it Worth the Money Spent? VPN Unlimited offers eight different pricing plans. Yes! That’s a lot to choose from. 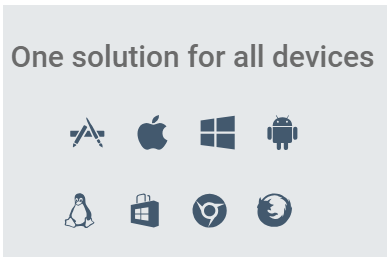 Four plans are offered for five device categories while the other four are offered with ten devices connectivity. Payment Methods – How Can You Purchase It? Once you sign up for the service, you have “Auto-Renew” set by default. If you wish to continue using the VPN service even after completion of the tenure, you do not need to change the payment type. But if you want to use it for just the selected tenure, you will need to switch off the “Auto-renew” option. Encryption and Protocols – Can You Trust it With Your Data? VPN unlimited offers OpenVPN protocol for Windows and Android with options of AES 128 bit and AES 256 bit encryption. L2TP/IPSec and IKEv2 are offered on iOS and Mac. The 256 bit encryption is the same standard as the U.S. military encryption. It is the most secure symmetrical standard to ensure privacy via data encryption in existence. On the other hand, the VPN provider also offers a ‘KeepSolid Wise’ extension which when combined with OpenVPN protocol makes it near impossible to detect a VPN usage. It works as a personal cloak of invisibility. KeepSolid Wise is available on Android, iOS, Windows, and Linux. How Compatible It Is With Popular Platforms? If you do not feel about downloading the app itself, then you can also get a browser extension. 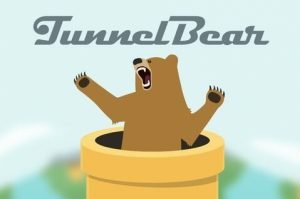 VPN Unlimited offers Firefox and Chrome extensions as a plugin that have the same features as of software client. These extensions also enable the user to turn off WebRTC. A WebRTC is used by websites that use webcam and mic to leak the IP Address potentially. This is the reasons why the desktop version is preferred over the mobile version. Having a VPN extension on your browser means that you will get protected even when you log in the Google Account. The overall surfing experience on the web also gets better as the encryption will encrypt the web traffic and make you anonymous with only 1 click. Ever since 2016, Netflix has started blocking a majority of VPNs as they violate the terms and condition of Netflix. Luckily, popular VPNs have trespassed this Netflix blockage, and VPN unlimited is one of them. We tested the following servers of VPN unlimited for Netflix compatibility and here is what we found out. Out of these four servers, two servers worked perfectly fine with Netflix and provide good server speed. The remaining two lacked in speed but did unblock Netflix for streaming. 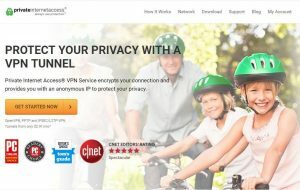 VPN Unlimited Support – Will They be At Your Service When Needed? To contact customer support you have different options at your disposal. You can get in touch with their staff by their live chat feature, but it has to be said that the operator is not available 24/7. Another way to get in touch is by contacting them via email. This form usually takes 60 minutes or so, but a complex query may take two hours to respond. If you are not in a hurry and can find answers to your query yourself, read the FAQ section thoroughly which are divided into five different categories. Lastly, Support section has user manuals that provide the best assistance to install the VPN. The navigation on mobile application and website client is smooth and error free. After launching their software, you are only 1-click away from being anonymous. Its sidebar offers all the features at fingertips. This over-simplistic interface may be a huge turn off for many, but this simple interface is a huge plus for users that are new to VPN technology and need a simplified interface. Kill Switch – Worth Relying On? The VPN provider has included a Kill-Switch feature in January 2019 which has improved the overall security. A kill switch is a mechanism where the machine switches off abruptly in case of an emergency. In the VPN industry, this feature comes in real handy when the internet connection drops abruptly. To be straightforward, Yes! We do recommend it. It has all the necessary features that make up a reliable VPN; moreover, its numbers on paper speaks volumes. Their application is above average in terms of usability and has a simple interface. Without a doubt, the VPN market is saturated to bits, but only a few like VPN Unlimited stand out the ordinary.